Efficacy of smoking cessation counselling, by intensity of counselling intervention. The outcome was the number of patients who remained smoke free at the longest follow-up assessment (≥6 months). Intensity 1, contact in hospital of 15 minutes or less and no postdischarge support; intensity 2, contact in hospital of more than 15 minutes and no postdischarge support; intensity 3, any hospital contact plus postdischarge support lasting 1 month or less; intensity 4, any hospital contact plus postdischarge support lasting more than 1 month. I2 measures statistical heterogeneity among studies.8 CASIS indicates Coronary Artery Smoking Intervention Study; OR, odds ratio; CI, confidence interval. Background A hospital admission provides an opportunity to help people stop smoking. Providing smoking cessation advice, counseling, or medication is now a quality-of-care measure for US hospitals. We assessed the effectiveness of smoking cessation interventions initiated during a hospital stay. Methods We searched the Cochrane Tobacco Addiction Review Group's register for randomized and quasirandomized controlled trials of smoking cessation interventions (behavioral counseling and/or pharmacotherapy) that began during hospitalization and had a minimum of 6 months of follow-up. Two authors independently extracted data from each article, with disagreements resolved by consensus. Results Thirty-three trials met inclusion criteria. Smoking counseling that began during hospitalization and included supportive contacts for more than 1 month after discharge increased smoking cessation rates at 6 to 12 months (pooled odds ratio [OR], 1.65; 95% confidence interval [CI], 1.44-1.90). No benefit was found for interventions with less postdischarge contact. Counseling was effective when offered to all hospitalized smokers and to the subset admitted for cardiovascular disease. Adding nicotine replacement therapy to counseling produced a trend toward efficacy over counseling alone (OR, 1.47; 95% CI, 0.92-2.35). One study added bupropion hydrochloride to counseling, which had a nonsignificant result (OR, 1.56; 95% CI, 0.79-3.06). Conclusions Offering smoking cessation counseling to all hospitalized smokers is effective as long as supportive contacts continue for more than 1 month after discharge. Adding nicotine replacement therapy to counseling may further increase smoking cessation rates and should be offered when clinically indicated, especially to hospitalized smokers with nicotine withdrawal symptoms. Tobacco smoking remains the leading preventable cause of death in the United States.1 Morbidity and mortality attributable to smoking are reduced by smoking cessation, even when it occurs after the onset of a smoking-related disease.2 Smokers who are hospitalized have an opportunity to initiate cessation because US hospitals are smoke free.3 Smokers must abstain temporarily from tobacco use while hospitalized, allowing them to experience tobacco abstinence away from environmental cues to smoke. Hospitalization may also increase a smoker's motivation to quit because illness, especially if tobacco related, increases a smokers' perceived vulnerability to the harms of tobacco use, providing a “teachable moment” for change. Finally, illness brings smokers to the health care setting, where smoking cessation interventions can be provided. For these reasons, providing or initiating tobacco dependence treatments in hospitals may be an effective preventive health strategy. Hospital quality-of-care standards set by the Joint Commission on Accreditation of Healthcare Organizations (JCAHO) and Centers for Medicare & Medicaid (CMS) now include a tobacco measure.4 It assesses the proportion of current or past-year smokers who received smoking advice, counseling, or medication during a hospitalization for acute myocardial infarction, congestive heart failure, or pneumonia. This measure is reported quarterly on a public Web site and is included in pay-for-performance reimbursement programs.5 This development stimulated interest in providing hospital-based smoking intervention. It is critical that programs designed to meet the new quality standard effectively promote smoking cessation after hospital discharge. Smoking cessation interventions that have been provided in the hospital setting include behavioral counseling of varying intensity, pharmacotherapy with nicotine replacement (NRT) or bupropion hydrochloride, and combinations of the two. This systematic review aims to summarize the evidence about the efficacy of smoking cessation interventions for hospitalized patients. An extended version is published and regularly updated in the Cochrane Database of Systematic Reviews. We included randomized or quasirandomized controlled trials that enrolled patients who were hospitalized and were current smokers (defined as having smoked in the month before admission) or recent quitters (defined as having quit from 1 month to 1 year before admission) and had at least 6 months of follow-up after randomization. We excluded secondary prevention or cardiac rehabilitation trials that did not recruit on the basis of smoking history and trials in patients hospitalized for psychiatric disorders or substance abuse (including inpatient tobacco addiction programs). We included trials that recruited hospitalized smokers regardless of their intention to quit smoking and trials that recruited only smokers who planned to quit after discharge. One contact in hospital lasting 15 minutes or less and no postdischarge support. One or more contact in hospital lasting more than 15 minutes total and no postdischarge support. Any hospital contact plus postdischarge support lasting 1 month or less. Any hospital contact plus postdischarge support lasting more than 1 month. The intervention could be delivered by physicians, nursing staff, psychologists, smoking cessation counselors, or other hospital staff. The control intervention could be any less intensive intervention or usual care. The principal outcome measure was abstinence from smoking at least 6 months after randomization. Studies identified by search strategies were checked for relevance. Two authors (N.A.R. and M.R.M.) extracted data independently from selected studies, resolving disagreements by consensus. Authors agreed about study inclusion or exclusion for approximately 95% of studies reviewed. 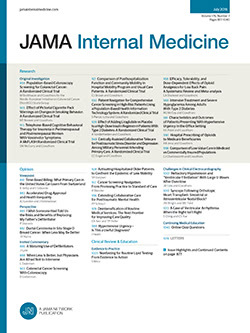 We extracted data on study setting, recruitment criteria (including types of admission diagnoses, smoking status at admission, and willingness to make a quit attempt), participant characteristics, method of randomization and allocation concealment, intervention and control conditions (including therapist types, duration of contact, and/or medication in hospital and after discharge), and outcome measures (length of follow-up, definition of abstinence, and validation of self-reported smoking status). To assess outcome, we used the most conservative measure of quitting at the longest follow-up assessment. When multiple outcomes were reported, we preferred a biochemically validated quit rate to self-reported abstinence, continuous or sustained abstinence to point prevalence abstinence, and 12-month follow-up assessment to 6-month follow-up. We calculated quit rates based on the numbers of randomized patients, excluding deaths and counting as smokers all patients who dropped out, were lost to follow-up, or failed to provide biochemical validation of nonsmoking status. We pooled study outcomes using Mantel-Haenszel fixed-effect model7 and expressed results as an odds ratio (OR) for smoking abstinence with a 95% confidence interval (CI). We assessed statistical heterogeneity among studies with the I2 statistic8; when it exceeded 50%, we explored possible reasons using subgroup analyses or considered the impact of outliers. When studies were judged by quality criteria to be more prone to bias, we planned sensitivity analyses to assess whether their inclusion altered our findings. Data were analyzed using the predetermined 4-level classification of intervention intensity. We performed a subgroup analysis based on patients' admitting diagnosis: cardiovascular, respiratory, and cancer. Another subgroup analysis assessed the effects of interventions designed to be delivered to all smokers who were admitted, regardless of the admitting diagnosis. Thirty-three trials conducted in 9 countries between 1990 and 2007 met inclusion criteria and contributed to the review (Table 1 and Table 2). We excluded 51 studies that appeared relevant but did not meet all inclusion criteria. All 33 included studies provided stop-smoking advice and/or behavioral counseling in the hospital. The duration of counseling ranged from less than 5 minutes to 1 hour. A nurse or trained counselor provided the intervention in 32 studies. Eleven studies included physician advice to quit. Most studies also included self-help materials such as booklets, audiotapes, or videotapes. Follow-up support after hospital discharge was provided in 25 studies; 19 studies provided it by telephone,10,11,13,14,16,18-20,22,26,28-34,37,40 while 6 studies had in-person visits.6,23,27,35,36,39 The duration of extended support ranged from 1 week to 6 months after discharge. Of the 33 studies, 29 randomized individual patients to experimental condition; 15 of these reported a procedure for random assignment and allocation concealment that we judged likely to avoid recruitment bias.14-18,20,21,23,26,27,30,34,37,39,40 Fourteen studies did not report the method of randomization and concealment in sufficient enough detail to judge the quality. Four studies allocated treatment by hospital rather than by patient; none of these randomly assigned hospitals to condition9,25,32,33 Two allocated treatment by alternating between hospitals over time32,33—1 study used a quasiexperimental design25 and 1 study9 randomly assigned 7 of 11 hospitals to condition but allowed 4 hospitals to choose their condition. Because these 4 studies have the potential problem of recruitment bias and underestimation of confidence limits due to intracluster correlation, we conducted a sensitivity analysis on the effect of excluding them. Of the 33 studies, 16 used the preferred measure, sustained abstinence, to assess outcome.6,9-11,13,15,20,28,32-36,38-40 The other 17 studies used point prevalence abstinence. To avoid overestimation of treatment effects in smoking cessation studies, self-reported tobacco abstinence should be biochemically validated and patients lost to follow-up counted as smokers.41 Of the 33 studies, 27 validated subjects' self-reports of quitting at the follow-up assessment. Biochemical validation of smoking status was done in 26 studies, by expired air carbon monoxide in 13,6,10,12,13,17,22,27,34-39 and by plasma, salivary, or urinary cotinine in 15 studies.11,13,15-21,26,28-31,40 One study used corroboration by significant other as the only validation method.14 Four other studies used “corroboration by significant other” in cases for which a plasma or salivary cotinine measure was not available.16,20,31,37 Five studies did not validate self-reported quitting at the follow-up assessment.9,23,25,32,33 Most studies recorded those lost to follow-up as continuing smokers. Counseling interventions were analyzed using the predetermined 4-level classification of intervention intensity (Figure 1). Only 1 study assessed a brief inpatient intervention with no subsequent support (intensity 1).19 This was not more effective than usual care (OR, 1.16; 95% CI, 0.80-1.67). Eight studies tested a longer inpatient intervention with no contact after discharge (intensity 2).9,11,12,17,21,24,25,38 There was no benefit in the pooled analysis of these studies (OR, 1.08; 95% CI, 0.89-1.29). Similarly, no statistically significant benefit was found in a pooled analysis of 6 studies that tested an inpatient intervention with contacts continuing for up to 1 month after discharge (intensity 3)20,22,28,29,32,33(OR, 1.09; 95% CI, 0.91-1.30). There was substantial heterogeneity (I2 = 53%) in the results of 18 studies that tested the highest intensity intervention (intensity 4), consisting of inpatient counseling that continued for more than 1 month after discharge.6,10,11,13,14,16,18-20,23,26,27,30,31,34,37,39 However, 1 study was an extreme outlier.15 It reported a very large effect (OR = 49) due to an unusually low cessation rate in the control condition. It also had a very high dropout rate across conditions. Excluding this trial from the meta-analysis reduced the heterogeneity (I2 = 35%). The level 4 intervention increased quit rates in the pooled estimate (OR, 1.65; 95% CI, 1.44-1.90). Thirteen of the studies testing intensive counseling (intensity 4) included the option of pharmacotherapy, principally NRT.6,11,13,16,20,23,26,27,30,31,34,37,39 The OR for the effect of counseling remained statistically significant when these studies were excluded (OR, 1.36; 95% CI, 1.04-1.77), suggesting that the efficacy of the intensive counseling interventions was not owing to the use of NRT. Of the 17 studies that delivered the highest intervention intensity (intensity 4), 9 only included smokers who were willing to attempt cessation after discharge.13,16,18,20,27,30,34,37,39 An intervention effect persisted in a pooled analysis of the remaining 8 studies that recruited subjects regardless of their interest in quitting after discharge (OR, 1.70; 95% CI, 1.38-2.09). Another sensitivity analysis excluded studies that had included subjects who had not smoked for more than 1 month before admission.10,13,21,28,32-34 Limiting the analysis to studies that recruited only current smokers (eg, smoked in the past month) did not change the results (intensity 3: OR, 1.01 [95% CI, 0.77-1.32]; intensity 4: OR, 1.57 [95% CI, 1.35-1.82]). Preplanned sensitivity analyses excluded studies with methodological limitations. Excluding the 4 studies that did not randomly assign treatment by patient did not change the results.9,25,32,33 Excluding the 5 studies that did not validate self-reported smoking cessation outcomes9,23,25,32,33 did not alter the results (intensity 2: OR, 0.94 [95% CI, 0.74-1.20]; intensity 3: OR, 1.01 [95% CI, 0.78-1.31]; intensity 4: OR, 1.65 [95% CI, 1.44-1.90]). No study compared pharmacotherapy with placebo as a single intervention without counseling. Trials of pharmacotherapy either tested the effect of adding pharmacotherapy to counseling or, conversely, the effect of adding counseling to pharmacotherapy. Five trials35-39 tested the effect of adding NRT to counseling (Figure 2). In these trials, NRT was compared with placebo NRT or no NRT. Pooled analysis of these studies produced an OR of 1.47 (95% CI, 0.92-2.35). One trial offered NRT to all subjects and tested the additional benefit of intensive vs minimal counselling.31 The OR was 1.71 for sustained abstinence (95% CI, 0.90-3.23). The result was consistent with the impact of intensive counseling observed in the absence of pharmacotherapy. One study40 systematically compared the use of bupropion with placebo. It did not detect a statistically significant effect of the drug over intensive counseling alone (OR, 1.56; 95% CI, 0.79-3.06), but the confidence limits were broad. Eleven studies enrolled hospitalized smokers regardless of their admitting diagnosis (Figure 3A).18-21,29,31-33,37-39 The results in this subgroup were similar to the results for the main analysis. Interventions with the highest category of intensity (counseling in hospital and >1 month of support after discharge) were effective in a pooled analysis of 6 studies (OR, 1.43; 95% CI, 1.17-1.75).18-20,31,37,39 Less intensive interventions demonstrated no effect (Table 2). As shown in Figure 3B, 18 studies limited enrollment to smokers with a cardiovascular admitting diagnosis.6,9-11,13,14,16,17,20,22,23,25-28,34,35,40 The result of this subgroup analysis resembled the main analysis. There was a significant effect on quitting in the pooled analysis of 11 studies testing the most intensive intervention (intensity 4: OR, 1.81 [95% CI, 1.53-2.15],6,10,11,13,14,16,20,23,26,27,34 but not for studies testing less intensive interventions (Table 2). Four studies enrolled only patients with respiratory admitting diagnoses.20,24,35,36 None of the studies found a significant effect of the interventions tested. We did not estimate a pooled effect because the interventions were heterogeneous. One very small pilot study tested a hospital intervention for patients with cancer12 and found no evidence of efficacy. This systematic review finds that smoking cessation counseling that begins during hospitalization and provides supportive contacts for over 1 month after discharge increases the odds of smoking cessation by 65% at 6 to 12 months over what is achieved by hospitalization alone. There is no evidence that less intensive counseling interventions, particularly those that do not continue after hospital discharge, are effective in promoting smoking cessation. The intensive counseling intervention is effective when provided to all hospitalized smokers, regardless of admitting diagnosis. These finding were robust, remaining statistically significant in a series of sensitivity analyses that excluded studies of lower methodological quality and studies that allowed the use of NRT as part of the intervention, only enrolled smokers who planned to quit, or included recent quitters along with current smokers. While only 5 of the 17 studies with the sustained intervention continuing for over 1 month after discharge found a significant intervention effect, once they are pooled, the actual impact of this level of intervention is substantial, increasing the odds of quitting by 65%. The effect sizes observed in all these studies may be artificially modest because in many cases the “control” condition was more intensive than usual care or simply brief advice. However, even relatively modest effects can have a substantial public health impact when applied at the population level. While the analysis supports providing counseling intervention to all hospitalized smokers, it also demonstrates strong benefit for smokers who are admitted for cardiovascular disease. This subgroup of smokers generally achieved higher absolute cessation rates than did smokers in studies that included a broad range of diagnoses. In the pooled analysis, the relative effect of the intensive counseling intervention for patients admitted with cardiovascular diagnoses (OR, 1.81; 95% CI, 1.53-2.15) was slightly higher than it was when provided to all patients (OR, 1.43; 95% CI, 1.17-1.75), but the confidence limits overlapped, precluding a conclusion that the relative effect is larger for patients with cardiovascular disease. There is insufficient evidence to conclude that counseling interventions are effective for smokers admitted to hospital with a respiratory diagnosis. However, there is no reason to exclude this group of smokers in interventions that target all hospitalized smokers, which have a strong evidence base. The effect of pharmacotherapy in hospitalized patients was more difficult to assess because NRT and bupropion have only been tested along with counseling. Adding NRT to counseling in hospitalized smokers produced a 47% increase in the odds of quitting compared with placebo or no drug in the pooled analysis. Although this was not statistically significant (OR, 1.47; 95% CI, 0.92-2.35), there was a clear trend, and the OR and confidence limits were compatible with the effect of NRT in other settings.42 Furthermore, NRT is used in hospitalized smokers to treat acute nicotine withdrawal symptoms as well as to promote smoking cessation. Overall, these data support including NRT in interventions for hospitalized smokers. The evidence regarding the benefit of adding bupropion to counseling in hospitalized patients is limited to 1 study, in which bupropion was not more effective than placebo.40 However, the confidence limits were broad, and the effect size was consistent with evidence from other populations that bupropion is effective for smoking cessation.43 No published trial has assessed varenicline tartrate, a newer smoking cessation drug, in the hospital setting. The existing evidence provides stronger support for the benefit of counseling than for pharmacotherapy. In part, this reflects a smaller evidence base of trials testing pharmacotherapy in the hospital setting. Furthermore, counseling and pharmacotherapy may be synergistic. In addition to providing psychological support to quitting, counseling after discharge may also help increase quit rates by improving adherence to cessation medications that were started in the hospital. This conclusion is supported by the single study that compared pharmacotherapy alone with pharmacotherapy plus counselling.31 In that study, the addition of counseling to NRT increased quit rates. Determining how to translate these findings effectively and consistently into routine clinical practice is the next task. Studies need to demonstrate the feasibility and effectiveness of hospital-initiated smoking cessation interventions in clinical practice. For example, one of the studies in this review20 was followed by a report that the program's effectiveness was maintained for the 3 years after the end of a clinical trial.44 During that time, approximately half of the admitted smokers accepted the offer of intervention, and those smokers had a cessation rate similar to that achieved in the randomized trial. Additional research should assess the cost-effectiveness of the intensive counseling intervention and to explore the impact of counseling on health and health care utilization outcomes. One study in this review assessed health care utilization and mortality outcomes in smokers hospitalized for cardiovascular disease.6 The intervention produced a large increase in smoking cessation and at 2-year follow-up, a substantial decline in hospital readmissions and all-cause mortality. The result was potentially confounded by better blood pressure and cholesterol control and better medication compliance in the intervention group, but it is an example of the type of evidence that could help to promote the broader adoption of hospital-based smoking intervention. Finally, the results of this review support the JCAHO/CMS decision to include a tobacco measure in the national hospital quality-of-care standards.4 The review provides a rationale for expanding the current measure to apply to all hospitalized smokers rather than just to smokers with myocardial infarction, congestive heart failure, and pneumonia. It also suggests that the current tobacco measure should be strengthened to include an assessment of whether a smoking intervention begun during a hospital stay is linked to support after discharge. This is essential to ensure that the quality standard achieves the goal of promoting smoking cessation after hospital discharge. Correspondence: Nancy A. Rigotti, MD, Massachusetts General Hospital, 50 Staniford St, Room 914, Boston, MA 02114 (nrigotti@partners.org). Accepted for Publication: January 13, 2008. Author Contributions:Study concept and design: Rigotti and Munafo. Acquisition of data: Rigotti, Munafo, and Stead. Analysis and interpretation of data: Rigotti, Munafo, and Stead. Drafting of the manuscript: Rigotti and Munafo. Critical revision of the manuscript for important intellectual content: Munafo and Stead. Statistical analysis: Munafo. Administrative, technical, and material support: Stead. Financial Disclosure: Dr Rigotti was the coauthor of 3 studies included in the review. In the past 5 years, Dr Rigotti has received research grant funding from Pfizer, GlaxoSmithKline, Sanofi Aventis, and Nabi Biopharmaceuticals and has consulted for Pfizer and Sanofi Aventis. These companies have investigational or marketed smoking cessation medications. Funding/Support: The Cochrane Tobacco Addiction Review Group is supported by the National Health Service of the United Kingdom. Dr Rigotti was supported by a Midcareer Investigator Award in Patient Oriented Research from the National Heart, Lung, and Blood Institute, National Institutes of Health (grant 2 K24 HL04440). Previous Presentation: This study was presented in abstract form at the Annual Meeting of the Society for Research in Nicotine and Tobacco—Europe; October 5, 2007; Madrid, Spain.